I'm not up to thinking this week so, it's back to the grab bag. 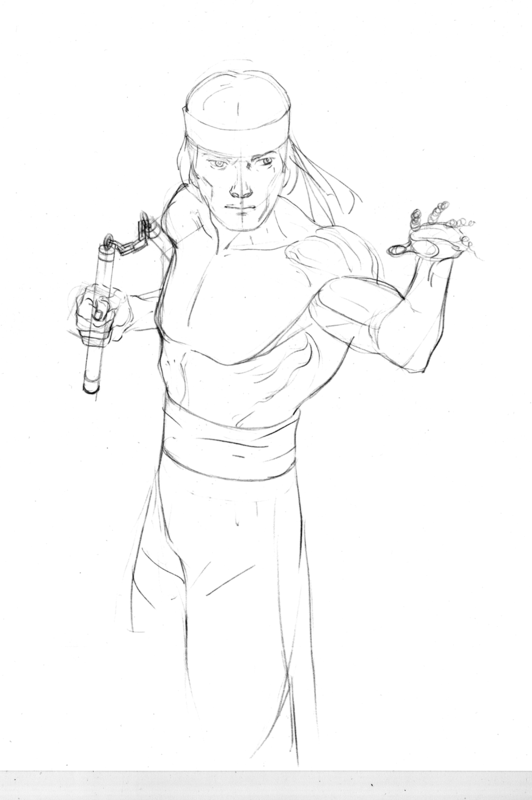 So what to my wondering eye should appear when I stick my hand into the box right here... Issue 42 of Master of Kung Fu... and, no, that second part wasn't supposed to rhyme. Drawn by Paul Gulacy with inks by Tom Sutton, this is one of the odder art combinations you'd ever want to see. Gulacy's tight cinematic approach driving Sutton's chaotic cartooning... It has it's moments. 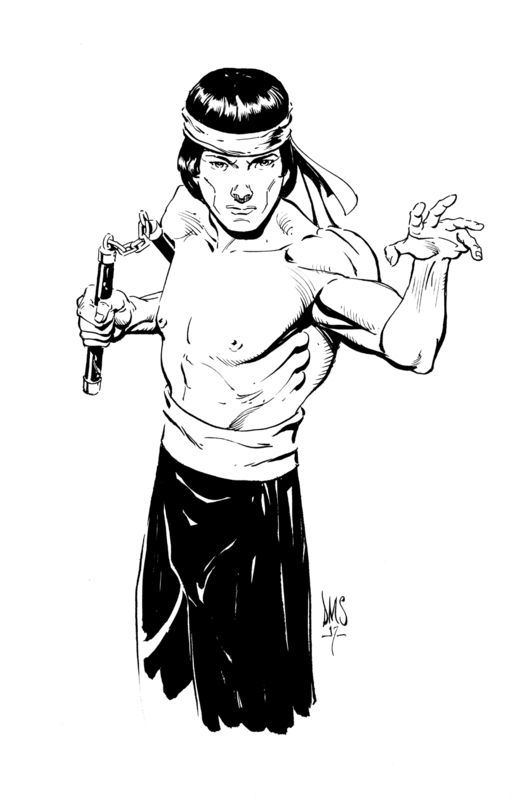 Shang Chi, Master of Kung Fu.